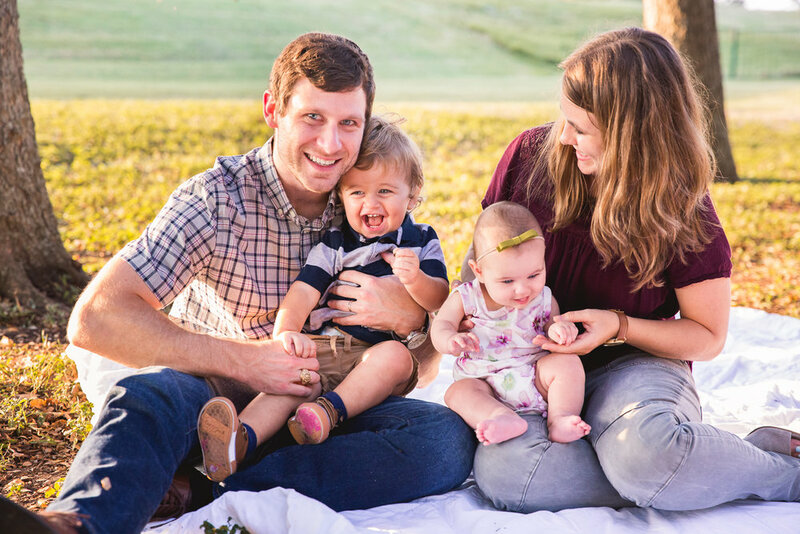 This darling family of four was a joy to photograph. 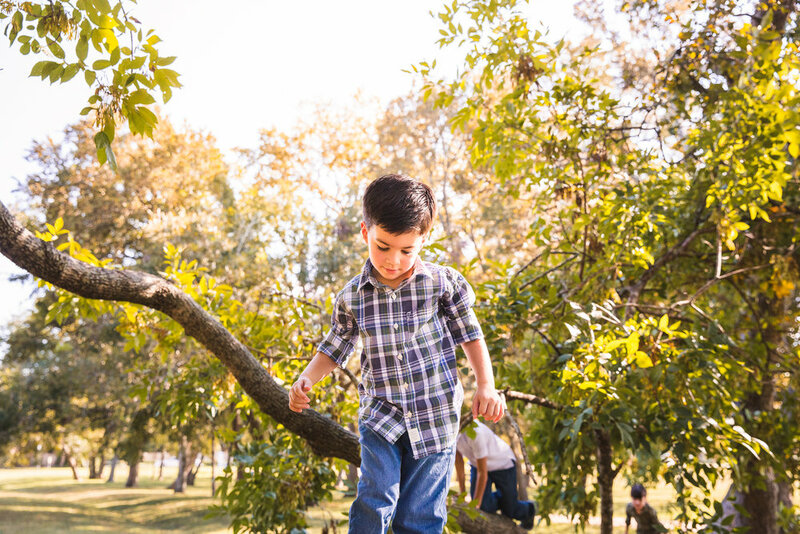 Nestled in the trees of Pecan Grove, we played games, took rides in a red wagon and enjoyed the golden rays of sunset. Capturing the years when our children are small isn't easy, but the sweet reward of creating new memories on camera is so worth it. I adored the little game big brother and baby sister played- dad would hold sister and chase brother with squeals of laughter and huge smiles (a photographer's dream!) following every step of the way. 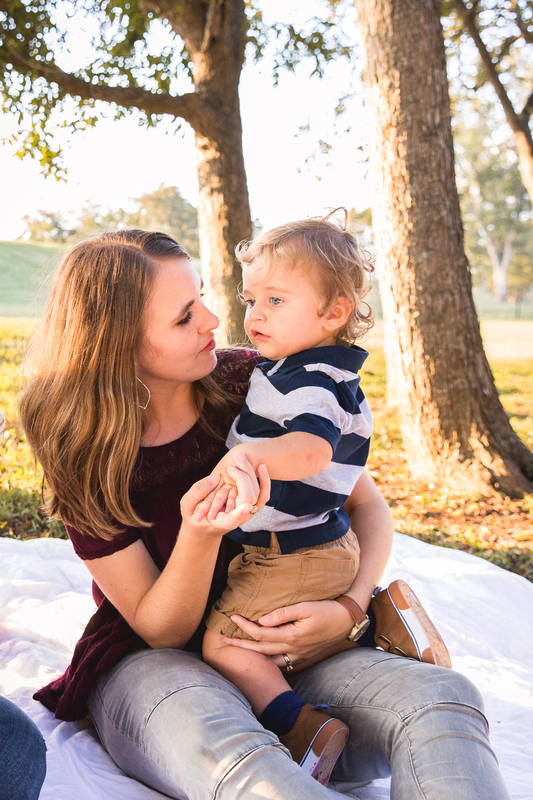 To learn more about experiencing your very own candid family session, contact Jenn to ask any questions at all. I'd love to hear from you! 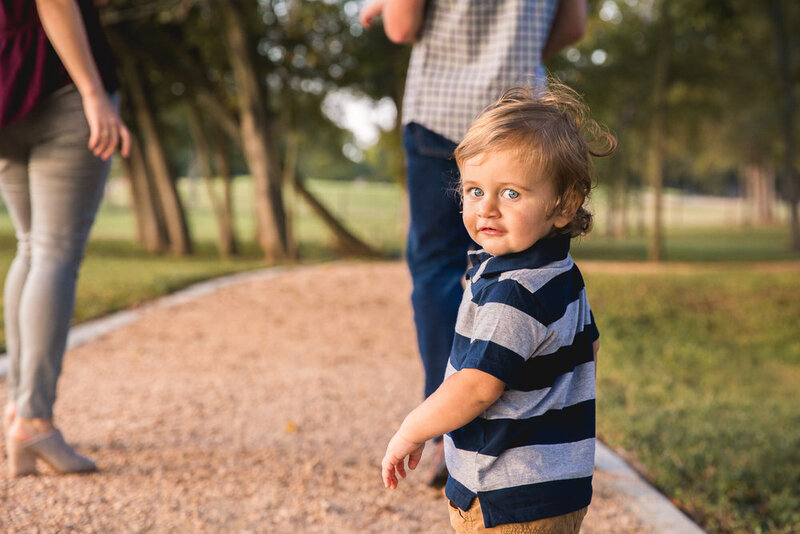 Can I just say, being a Houston family photographer is the BEST job I’ve ever had. I meet so many different people and families and siblings and after every session I learn something new whether it's a new camera trick, more ways to create natural connections between siblings, how to help a shy child come out of their shell... it’s fascinating and fun and beautiful. 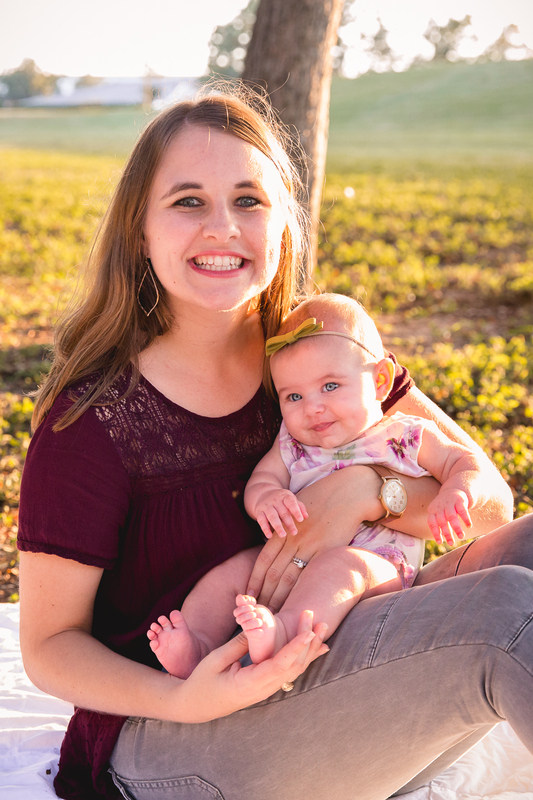 After offering mini sessions at the Katy Silos, I took my camera to the small wooded area of Pecan Grove in Richmond, TX and had a blast shooting more family minis.